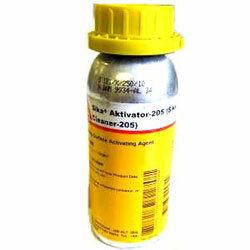 Sika® Aktivator 205 is a special adhesion promoting solution for the pre-treatment of bonding surfaces prior to bonding or sealing with Sikaflex products. Drying time: 10 min at 73°F / 50% R.H. Size: 00, Thickness: 1/32", Width: 2", Length: 5"
Size: 0, Thickness: 1/16", Width: 2-1/2", Length: 5-5/8"